1) That he needs to be valued by you. In other words, he wants to hear you appreciate the things he does for you and the family. He needs to be needed. 2) That you would appreciate his efforts….efforts to grow spiritually and in character, and that you would be patient and encouraging during that process. 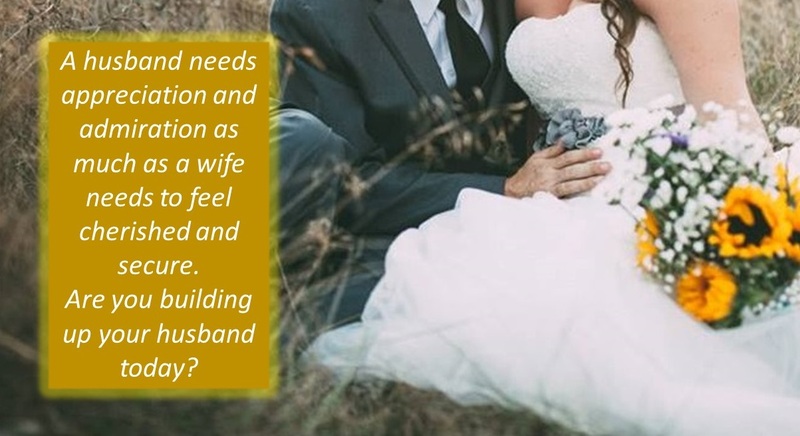 My husband said it takes time for a man to break free from all the temptations of the world and the lusts of his flesh, and that it’s super helpful if his wife acknowledges any forward progress he’s making, no matter how small.